Introducing the 7th Armoured Division! The 7th AD is an ArmA 3 and War Thunder realism unit focussing on the representation of combined armour and infantry combat in ArmA 3. With good numbers, customised equipment and unique missions the 7th AD offers a truly intense and fun second world war milsim experience for Arma 3. The 7th Armoured represents an actual unit wich fought troughout all of the second world war commonly known as the "desert rats". Playing as a combined armour and infantry unit there's plenty of choice regarding roles. 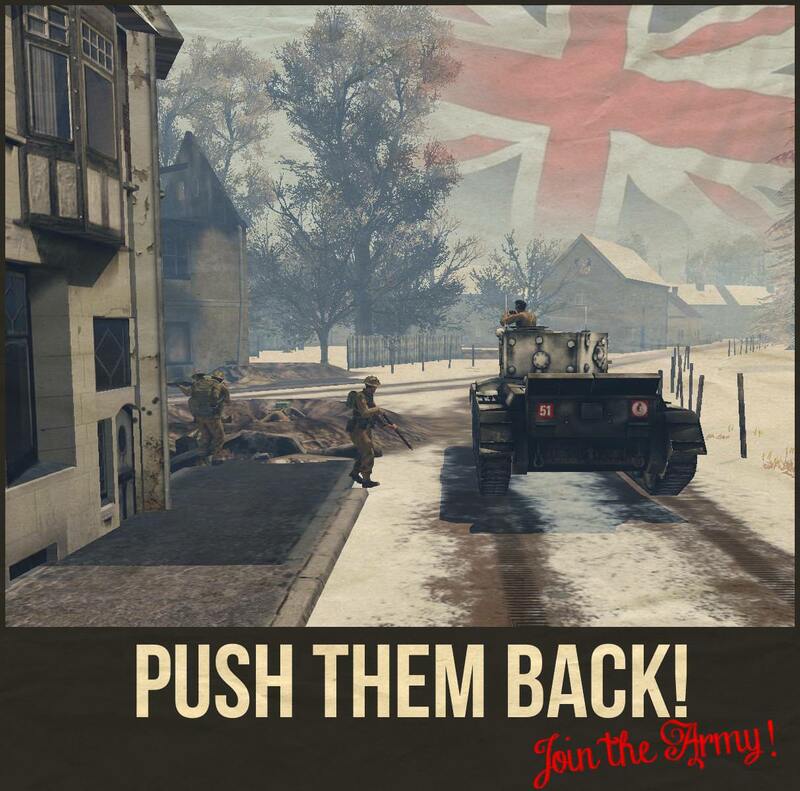 If you like infantry you'll be taken into our carrier platoon. If you like rolling heat? The Royal Tank Regiment is something for you! Our infantry platoon consists out of multiple carrier sections. Wich means you'll be on the move between objectives in one of plenty bren carrier vehicles under command of Lt. Saper. Our tank platoon plays as the 5th Royal Tank Regiment of the 7th Armour Division. Taking on the full heat of the german Panzerwaffe in one of the plenty tanks under the command of Lt. Stokes. Thank you for your time! Cheerio!